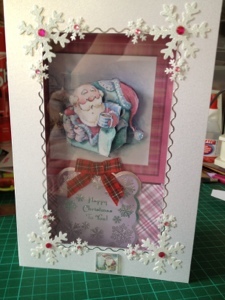 I have decided to make a card for the crafters companion monthly challenge blog Ho Ho Ho Xmas. 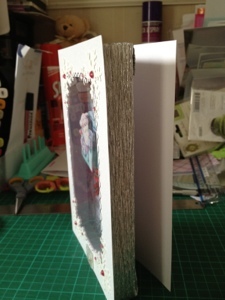 I have used the decoupage from the mulberry wood cd as well as the backing paper. I used the sentiment from the hunkydory mulberry wood card park. And I used a tartan ribbon. This is a lovely Christmas card - the snowflakes just finish it off nicely!